The Royal Albert Hall has launched a new Victorian Tour aimed at pupils studying History and Literacy in the Key Stage 2 National Curriculum. The tour is described as an immersive history lesson and will see schools join characters from Victorian society for a ‘journey through the ages’. During it, children will hear stories about the era’s most famous people and their achievements. Pupils will also learn about the coronation of Queen Victoria and the Industrial Revolution and learn how the Albert Hall is an iconic example of Victorian architecture. Key topics covered on the tour and accompanying workshop include Nightingale and Public Health, Faraday and Electricity, Brunel and Architecture, Perkins and Cloth Dye and Dickens and Literature. Anthony Lynch, tours manager for the Royal Albert Hall, commented, “We are really pleased that we can bring the Victorian era to life for school pupils all over the country, so that they can immerse themselves in history like never before. A schools visit last for 105 minutes, which will include a tour and a workshop that last 45 minutes each. 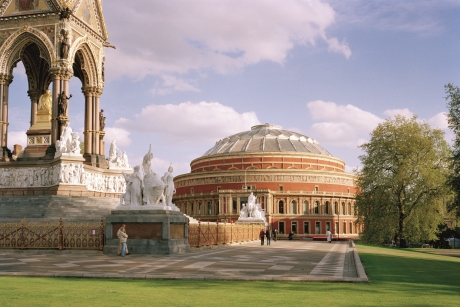 The Royal Albert Hall has its own Education & Outreach programme which features other tours and workshops such as Discover Music and Maths, Event Management Workshop and Discover Music and Science. The concert hall was opened by Queen Victoria in 1871, and holds more than 390 shows in the main auditorium including classical, rock and pop concerts, ballet, opera, film screenings with live orchestra, sports, award ceremonies, charity performances, banquets and school and community events. In October, a family concert to provide children with their first introduction to a symphony orchestra will take place, named My Great Orchestral Adventure. For more information visit www.royalalberthall.com/victorian.